Staff members of Petersen Family Funeral Home are caring and experienced professionals who understand that each family is unique and has personal requests and traditions. Gerrel L. Shirk 74, died Friday February 15, 2019 at his Newton residence. He was born October 13, 1944 in Newton, Kansas to Clarence C. and Odeta A. ( Slaughter) Shirk. On July 2, 1966 he married Connie J Muse at Pittsburg, Kansas and she survives the home. Gerrel owned and operated Gerrrel’s on West 1st street in Newton where he maintained and repaired foreign cars for over 35 years. He was also an accomplished problem solver and inventor. One of his inventions the “Mini-Pic” is still sold and used today. He also mowed for others during the growing season and gave freely of his time to help Caring Hands Humane Society keep their lawns mowed and tidy. Gerrel was a was a proud family man and greatly looked forward to spending time with his wife, sons, grandchildren and the many friends he has made. Big G enjoyed a good conversation and his gregarious nature captivated people. He is survived by his wife Connie of the home; sons: Kurt and his wife Shelly Deruy of Joplin, MO; Cory and his wife Diana Shirk of El Paso, TX and Brett and his wife Jenni Shirk of Austin, TX. He is also survived by one brother Erich Shirk and one sister Melody Fry. He has 11 grandchildren and 2 great grandchildren. He is preceded in death by his parent’s two sons Kevin Deruy and Kenneth Deruy. He is also preceded in death by one brother. Funeral service will be 3:00 p.m., Tuesday February 19, 2019 at Petersen Funeral Home Chapel with Pastor Donna Voteau presiding. Private family interment will be at a later date. Visitation will be 1 p.m. to 3 p.m. Tuesday prior to the service where the casket will be open. Memorials are suggested to Caring Hands Humane Society in care of Petersen Funeral Home. Gregg Petersen, the senior partner of Petersen's Funeral Home, joined the family owned firm in 1970. Over the years, Gregg has developed a vast experience in working with area churches and cemeteries. His many years of service have spanned many generations of families. Gregg has been a part of the many changes in funeral service and understands the needs of families for services from the traditional to the contemporary. He is proud of the flexibility in serving families that being family owned allows. Fred is a officer/owner of the funeral home and a family member. He is a graduate of Newton High School and Kansas State University and worked in the banking industry for many years prior to joining the firm. Fred works with most human resource and public relations issues for the company. He is very customer oriented and finds great satisfaction working with and serving the public. He is a warm, caring and witty person who enjoys helping the Kansas licensed staff walk with families through a difficult time of transition. Gavan was born and raised in Newton, Kansas. He graduated from Newton High School in 1991. He received his BA degree from the Emporia State University and has a degree from the Kansas City school of Mortuary Arts. He is proud to be a third generation Petersen and has worked in his family’s business since middle school where he began by washing vehicles after school. Gavan is our monuments manager and heads our monument branch store Quality Monuments. Gavan is involved with many community projects and the development of Camp Hawk to provide free activities to young families and youth groups. He is also a supporter of "Girls Club" an organization to help young girls with their self-esteem, friendships and over all "well being". Gavan is an individual of traditional values. He strongly believes that the "viewing" at the visitation is vital for activating your support system and allows others to express their concern and love for you. Charlie is a funeral director at Petersen's Funeral Home. He has worked for the company for 18 years. He started out washing cars and mowing the grass and eventually worked his way up. He also worked at a funeral home while attending Kansas State. In his spare time he enjoys tending to his back yard poultry and his dogs. He also enjoys presidential history and Kansas art and artists. Brian is a hometown boy who graduated in 1993 from Newton High School. From starting out with Doric Vaults, to graduating from the San Francisco College of Mortuary Science, Brian has been in the funeral industry for over 15 years. Before and after mortuary college, Brian worked for corporate funeral homes but eventually found that his place was with a family-owned funeral home serving the community. Brian specializes in embalming and reconstructive work. He is glad to be back in his hometown! Cheryl Switzer joined the firm in April 2017. She comes to us by way of Fredonia, Kansas. Cheryl was raised in North Central Kansas in the town of Washington. After serving families for years as a paramedic Cheryl enrolled in Kansas City Kansas Community College mortuary science program. In her free time she enjoys spending time with her husband Dan riding their harley trike and traveling. She also enjoys gardening, flowers and tending her back yard water garden and fish pond. Cheryl is excited to join the staff of Petersen's and continue caring for families in a caring family owned funeral home. Cindy joined our team in November of 2016 as our office administrator. She works 3 days a week and as needed to keep up with our death certificate filing and insurance claims for our families. Cindy can be found answering many questions families have as they complete their estates and final arrangements. Cindy also works funeral services with us and helps care for our families as they walk thorough the funeral and memorial process. 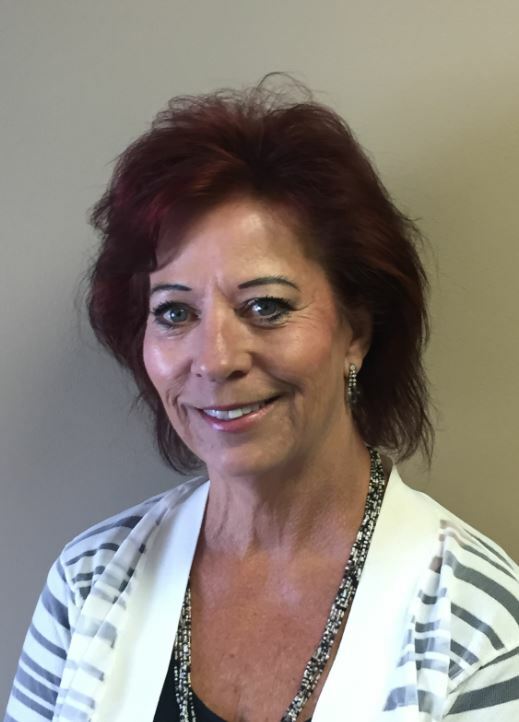 She looks forward to serving our families and finds working at Petersen Funeral Home a rewarding experience. 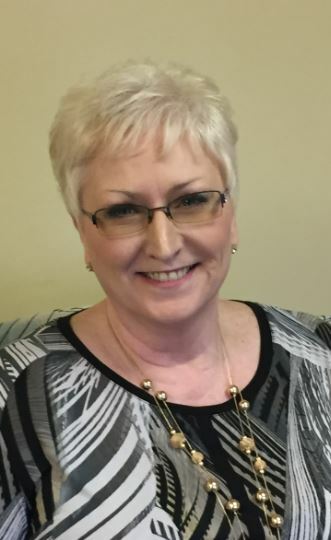 Cindy is active in Business Professional Women and is currently serving as state president. In her spare time she enjoys golfing with her friends and spending time with her husband Craig. In 1970, Gregg Petersen, the son of Tom and Ada, joined the funeral home. Today, Tom Petersen is retired, and his sons, Gregg and Fred, oversee the everyday details of the funeral home. Today the staff is made up of a team of 4 Funeral Directors, Gavan Petersen, Charlie Robinson, Cheryl Switzer & Brian Crawley. Gavan, Brian and Cheryl are also the Embalmers for the funeral home. Petersen’s has continued to be the most trusted name in funeral service in Newton. We are a full service facility that offers a large chapel for traditional and memorial services. Although most families choose some form of a traditional service, Petersen Funeral Home provides varied options for those families who prefer cremation. Petersen Funeral Home was the first funeral home in the Newton area to have an individual cremation arrangements room to serve our customer’s cremation needs.